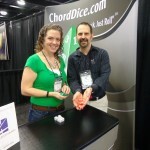 JC meets with the inventor of the new musical chord dice game which is made by Hal Leonard and will be sold at JC Music starting in late February 2013. 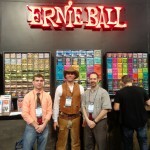 JC and Taylor make the annual visit with the Ernie Ball Company. 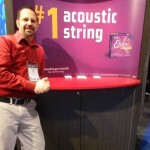 JC visits with the Elixir manufacturer. 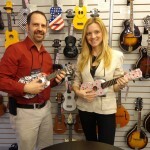 JC meets Ana from Mahalo Ukuleles. 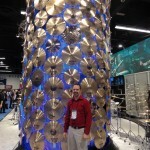 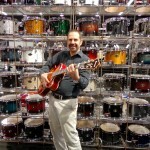 JC visits with Sabian cymbals. 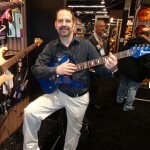 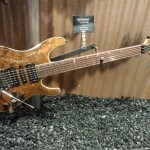 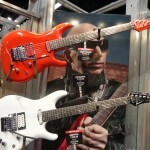 JC tests a couple new Ibanez electric guitars! 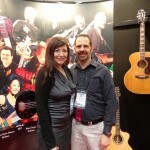 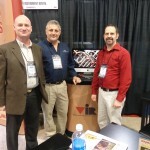 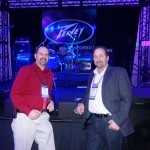 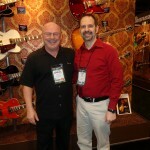 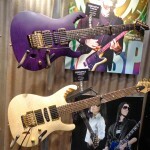 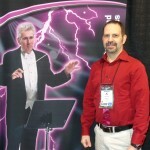 JC meets up with Keyan at NAMM 2013.